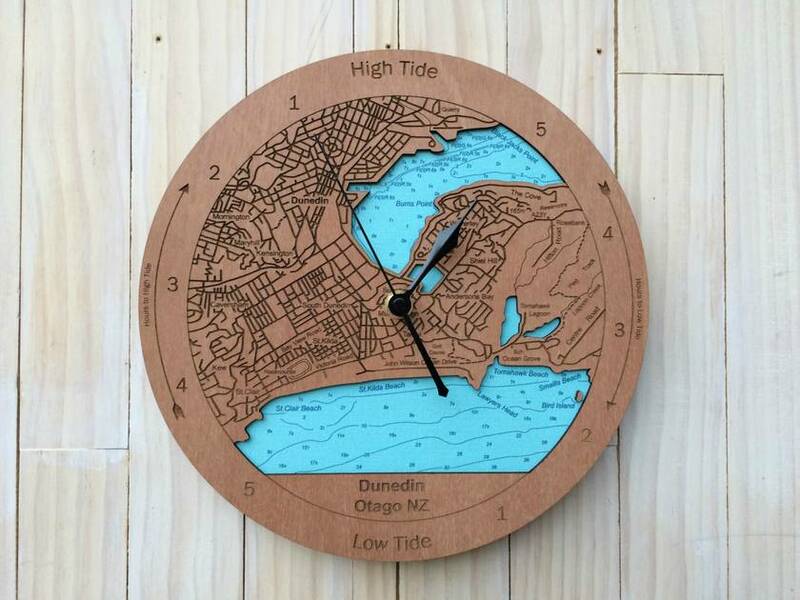 Designed and made in New Zealand, these original tide clocks make an attractive and practical gift for the home, batch, office or boat-shed. These tide clocks are 250mm diameter and are fitted with a reliable quartz Tide Clock mechanism. 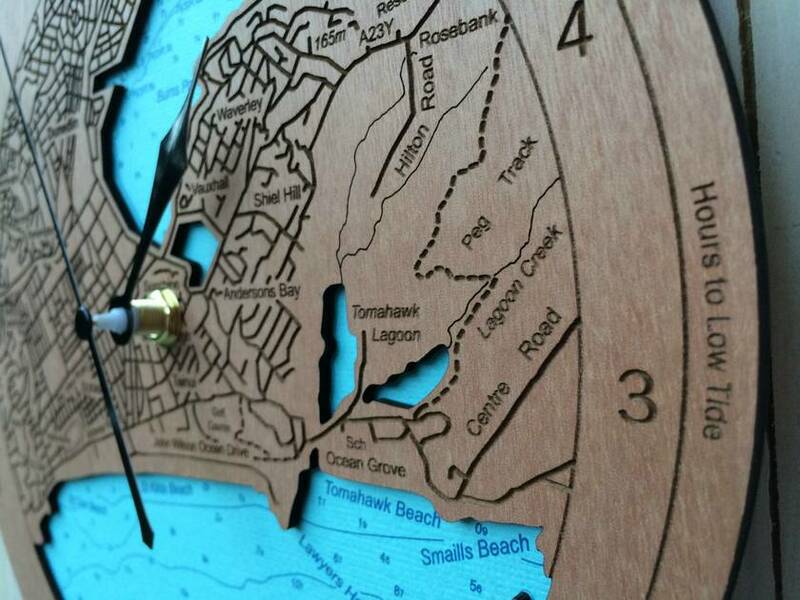 Simply set the clock to coincide with the published high tide in your region. 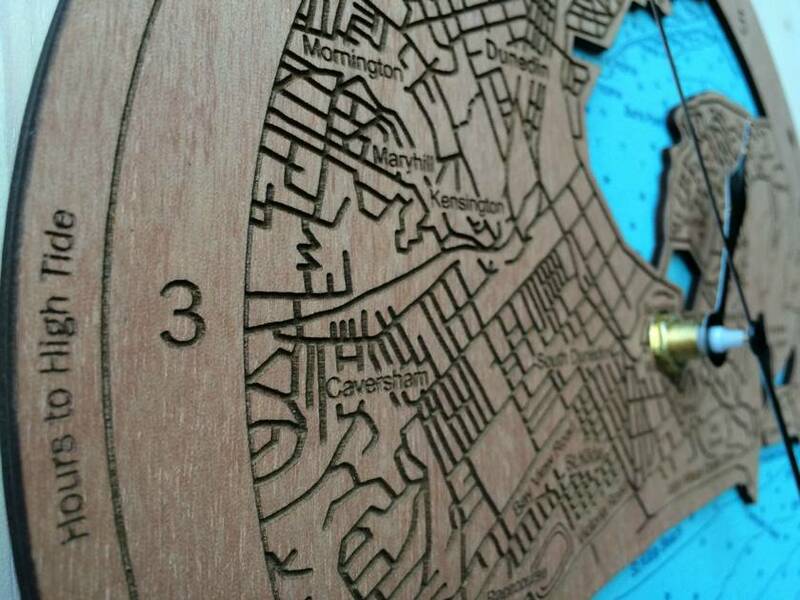 Your clock will then display at any time, how many hours until the next tide change. Comes complete with one AA battery and wall hook. As this is made from wood, the item may vary from the picture shown. 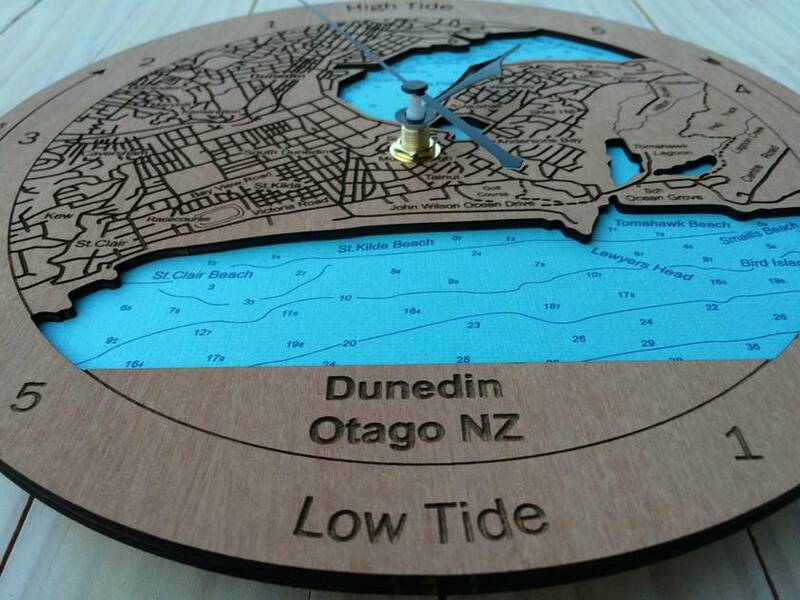 Contact woodenkiwi to enquire about payment or shipping options.